Celebrate this April Fool's day by embracing the stupidity! In this short and sweet jam, create a game that plays a joke on the player- maybe halfway through you lose all of your equipment, or there's a game-ending glitch right at the end, whatever your silly mind can come up with! Most of all just have fun with it! The rules are simple: Just make a game that plays a fun joke on the player! The "theme" will be whatever joke you play on the player in-game! 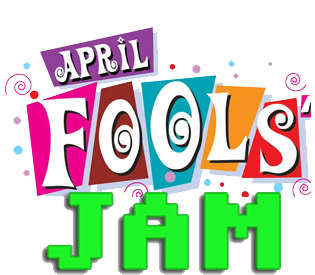 JOKE (FOOL FACTOR) - This is the whole point of the jam (and of April Fool's) how well does your game fool/joke the player! VISUALS - How good are the graphics? AUDIO - How good is the sound effects/music? An escape room game. That is basically it. In a visual novel format.